LOOKING FORWARD TO OUR 2019 EVENT ON TUESDAY OCTOBER 22nd! We are already planning for Day in the Life of the Hudson and Harbor 2019 to be held Tuesday October 22nd. Register now for this event (online form or pdf) and for workshops to support you and your students in their participation. Please start now to plan for this date by securing any needed authorizations or approvals from your institutions and field sites. Registrations will be accepted through 9/15/19 for this program. Do you still have 2018 data? If so be sure to submit it to Margie Turrin via email or by fax to 845-365-8156 so that we can get it posted for everyone! Please note our fax is on another floor so if you fax anything to us please email Margie Turrin to let us know! If you have questions about this event please contact us at Margie Turrin or Rebecca Houser. Curious about the results from with Day in the Life 2018? For this year's results go straight to the 2018 data page, or check out the worksheets below that use data from the event and can be used to help with class discussions and wrap up. Thank you! Take a minute to test our our new interactive database. Compare parameters, compare sites, look through time! Teachers and students did you enjoy Day in the Life? Would you like to have some fun with the data? Cary Institute offers a very innovative way to do that through their annual Data Jam! It is a wonderful and creative way to extend the Day in the Life having fun with data! Day in the Life 2018 will be here before you know it - check back for a date for the 2018 event. If you have questions on the data please contact Margie Turrin or Laurel Zaima of Lamont-Doherty Earth Observatory. 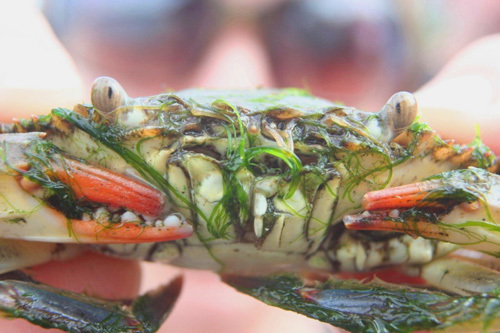 For questions on the event or for more information you can contact Margie, or Rebecca Houser, Chris Bowser with The Hudson River Estuary Program. 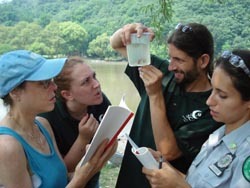 Event Description: The event is designed to celebrate the Hudson River Estuary and educate participants on the uniqueness of our estuary as part of the annual recognition of "National Estuaries Week". 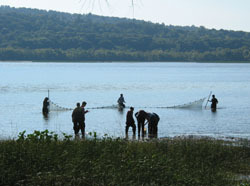 The event is coordinated by The Hudson River Estuary Program of New York State Department of Environmental Conservation and Lamont-Doherty Earth Observatory. 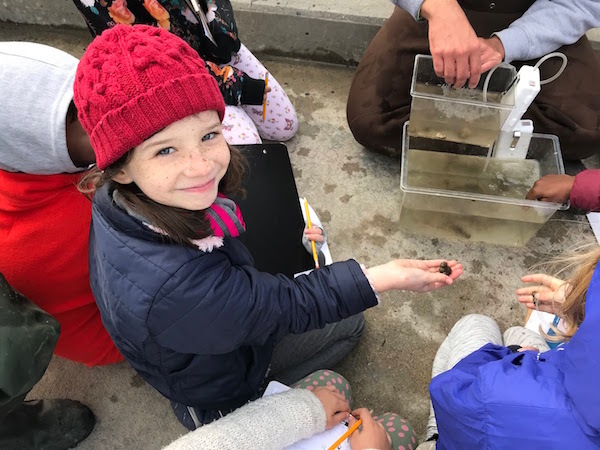 Each fall, environmental education centers are encouraged to team with school classes along the Hudson River to create a day-in-the-life picture of the river from the Troy Dam to New York Harbor. 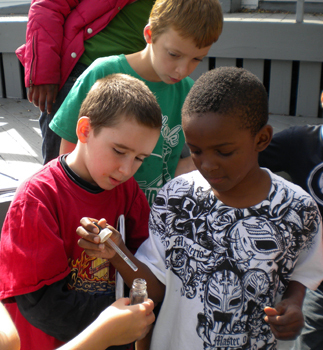 The event began in 2003 with a modest 300 student participants and has grown until in our most recent event, October 2018 where we involved over 5000 students and individual participants ~ 90 sites from the New York Bight up to Peebles Island on the Hudson River, and into the Mohawk watershed, a major Hudson River tributary. 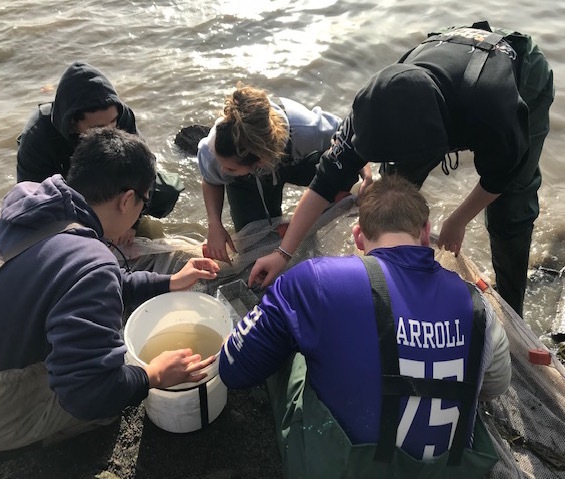 Each site gathered data on the Hudson and shared their results, gaining a better understanding of this historic and vital estuary system. 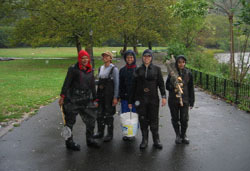 Data, Lesson Plans, Resources...lots of resource materials are provided here for your use in joining us on a virtual exploration of the river...and plan to join us on in 2019 for your own dip in the Hudson River as part of our Day in the Life on the Hudson River! Check out the results page!